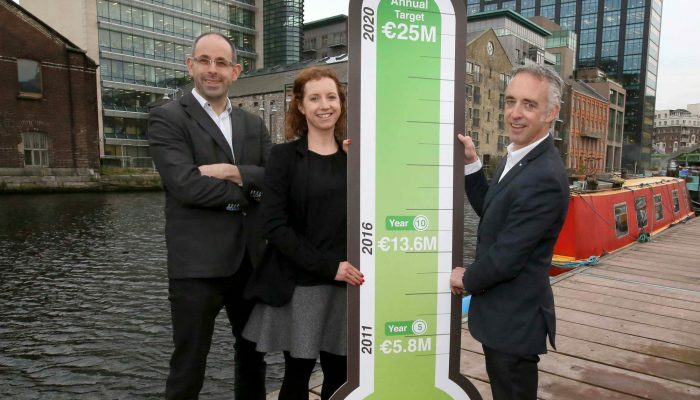 As part of this week’s Business Angel Week, HBAN (Halo Business Angel Network), the all-island group responsible for the promotion of business angel investment in Ireland, today announces plans to increase the amount invested in Irish start-ups by HBAN angels to €25 million per year by 2020. This will see HBAN increasing angel investment by 17% per year for the next four years. The medtech sector secured over €4.1 million angel investment last year, in seven deals, with the average investment –€585,000 per deal – being more than three times the average ICT deal size. This shows that angel investors are willing to pay a premium in the medtech space. HBAN is actively recruiting business angels and aims to double the numbers of active Irish angels in the next four years. There are now six syndicates operating in Ireland and four recently established international investment groups. New angels now have a wide choice of syndicate options, or they can opt to join HBAN’s Investor Forum which is for individual angels. The syndicates provide angels with the option of investing in start-ups with other angels from the syndicate, or with groups of angels from other syndicates in co-syndication deals. Business Angel Week in Ireland runs from 13th until 17th November. Activities planned for the week include a HBAN webinar for its members with US super-angels, Christopher Mirabile, managing director at Launchpad Venture Group & Chair Emeritus of the Angel Capital Association in the US, and Hambleton Lord who co-founded the Launchpad Venture Group and Seraf Investor. Irish angels will get an insight into Mirabile’s and Lord’s successes, what motivates them and trends they see in angel investing. To join the webinar or for more information about joining HBAN’s angel network e-mail for details. Is Technology Killing Customer Service?